Another relaxing Sunday with my Paper Pumpkin Club! We got together to make some cards from the March Kit - May Good Things Grow, with the special anniversary surprise gift, and I had a special gift for them too! 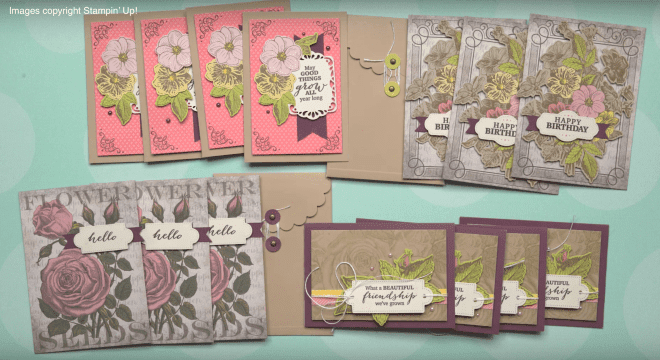 The kit this month had beautiful vintage feel, floral die cuts, and a pretty stamp set. The extra gift celebrating 5 years of Paper Pumpkin was a large package of wood embellishments with a floral theme. 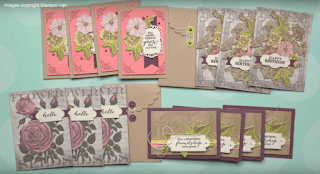 Perfect to add some dimension and texture to your card making. The first card we made used similar colors to the kit cards, but just a simple note card and quick stamping gives you a quick and easy card. Great to make a few and have on hand. Using a spot of the Designer Paper to step up your card. The second card used a piece of that DSP I gave my subscribers, with a little extra ribbon - there was ALOT of extra ribbon in this kit! Colored with their watercolor pencils from the Occasions Kit Lots of Happy (you can see that craft night HERE) and some fussy cutting of the stamped flowers and leaves, they created a CASEd version of the kit card. The Paper Pumpkin kits come with everything you need to make the project of the month, but with some easy and inexpensive add ons, you can build your supplies to make more creative and beautiful cards to share with your friends and family. 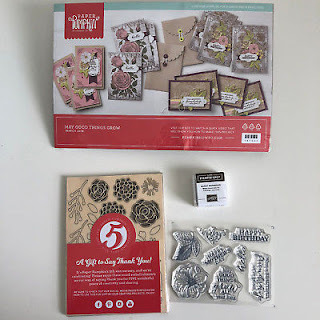 I'll add in some photos of my alternate cards made with the kit supplies, along with MORE ways to use that great stamp set! Check out THIS POST. Finally - remember to take advantage of the 50% OFF YOUR FIRST TWO MONTHS special offer on Paper Pumpkin!! 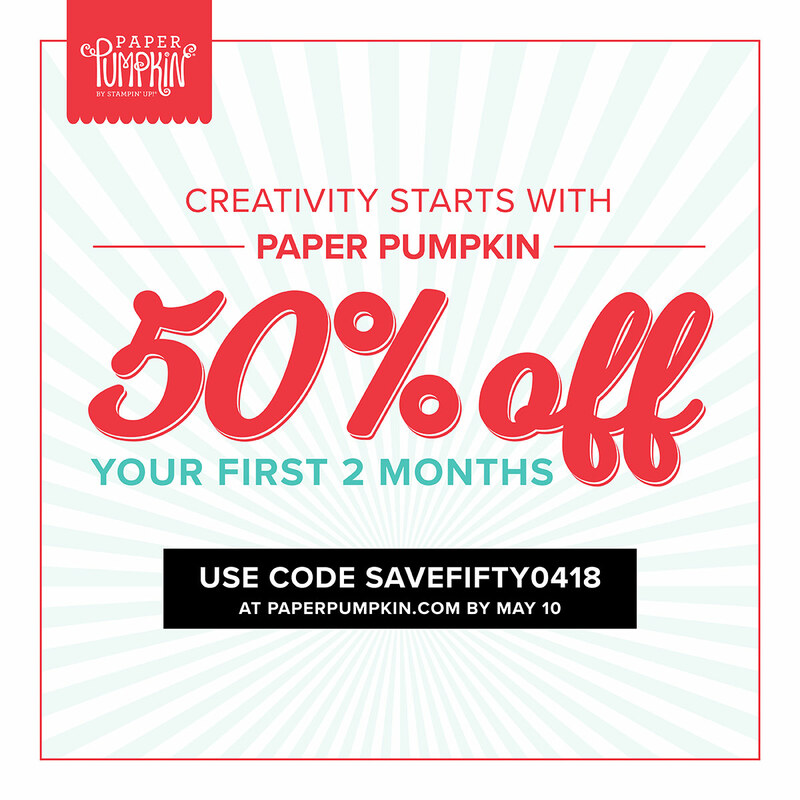 Its a deal - and if you are local I would love to have you join us for our Paper Pumpkin Club!